The Cuatro Presidente will make you excited about Bacardi’s new line of premium dark rums. Cocktails don’t have to be elaborate concoctions of syrups and juices, especially when the main ingredient is as good as Bacardi Añejo Cuatro. Bacardi’s new line of premium dark rums includes a four year, eight-year and ten-year, all delicious and each one perfect for a different type of drink. The age on the bottle (not common amongst rums) denotes the youngest drop that was placed into the barrel. 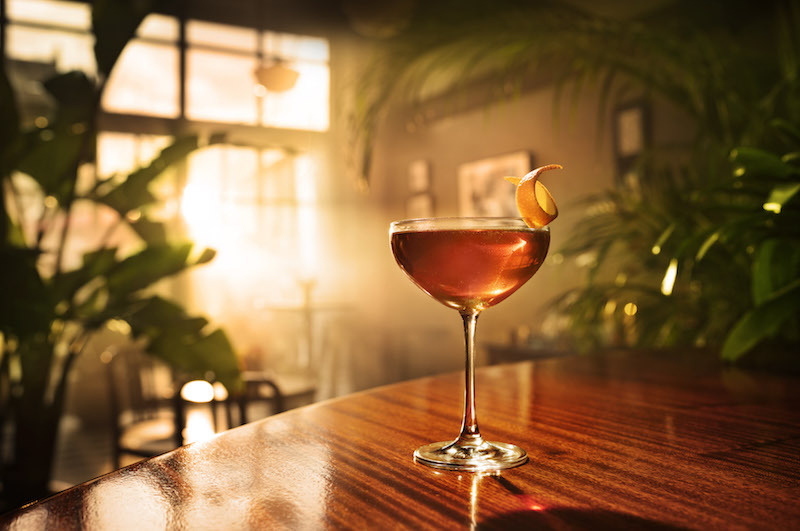 The four-year-aged rum, Cuatro, is best mixed into a cocktail because the shorter barrel time results in a complex flavour profile. It has a mild vanilla flavour, with notes of cloves and honey, and toasted oak. For a simple cocktail using the Cuatro, try Cuatro Presidente with Orange Curacao, Grenadine, Martini & Rossi Rosso, and of course, the youngest of Bacardi’s new line.